Are you looking for a course that you can take when it suits you best? When you take Garden of My Heart’s online course, you get to decide the course’s progress — to set your own pace, to take a break when you need it — and give yourself the time you need to properly reflect on the course material. Garden of My Heart consists of four modules over a four-week period, with an assignment for each of the fifteen themes presented. You will receive a workbook in PDF format, as well as additional material that uniquely supports each theme. Garden of My Heart has its own Facebook page where you can share your experiences and ask questions. Are you looking for meaningful conversations and deeper relationships? Get better acquainted with others while enjoying a shared learning experience. Plan a Greenhouse Group meeting and invite others to your home for a four-evening online course. You can start the evening by sharing a meal together if you wish. Go through the course together by using the assignments as the basis for discussion. Listen and learn from each other, and cultivate the good things found in each other. Do you prefer experiencing and learning new things together with others? We can arrange a course wherever you like — at your school or your workplace. One of our qualified course instructors will be happy to meet with you and your friends, wherever you want to. You get to choose the course, or a specific theme from Garden of My Heart. Or we can work with you to choose just the right theme for your specific situation. Just let us know what your situation is and we can put together a tailor-made solution just for you. A course can be held during a workday, or over four evenings. Even a shorter course is enough to bring greater insight and personal growth. An introductory seminar lasting from one to three hours can bring new motivation to a group of people. An hour-long lecture can be used as a source of inspiration or as a “kick off” for something greater. 1) “Narrative” – the tapestry woven with both the darker and brighter colors of the threads of life! The tapestry of our lives is woven with both bright and dark colors — with joys and pleasures, and with challenges and pain. Through The Relationships of the Heart courses we discover how rejection, bullying and grief have affected us, so that we can better understand our own relational patterns and those of others. We are given tools to help us deal with life’s challenges, and to face difficult issues in our lives and then move on. We receive keys that will make it possible for us to experience both restoration and freedom. The more I know myself, the easier it is to understand others. It also becomes easier to see the areas that I can do something with, what helps to build a better self image and how to see my own self-worth. Many of us have experienced the pain of losing someone we were very fond of. This course offers simple teaching and tools that help us to tackle the grieving process. It offers comfort and help in understanding our own reaction patterns and those of others. 1) “Stress” – What are the different directions I’m being pulled in? 2) “Dreams” – What are my dreams and visions, and what do I want to dedicate my life to? 3) “Passion” – What makes me excited? 4) “The Place of the Heart” – The control center for our thoughts, beliefs and feelings. 5) “Solutions” – Which key opens the door? Integrity is about being real. It means that the life I live on the outside agrees with who I am on the inside. It is important to become aware of the inner processes going on within me, so that I can be involved in directing these processes — my thought patterns, attitudes, actions, tempo and busyness. Integrity means feeling at home in my own house and in my own life; it’s also about the importance of cleaning out my own closets and cupboards, where I just might find treasures I haven’t yet discovered. Do I control my thoughts, or do my thoughts control me? When I learn to handle stress and negative thoughts in a positive way, it becomes easier for me to set my sights toward the future with its many solutions and exciting possibilities. – How can I be the gardener of my own life? 1) “The garden of my heart” – What dreams do I have? 2) “The power of the will” – What is my driving force? 3) “Joy” – What am I cultivating within my heart? 4) “Respect” – How do I protect the borders of my heart? 5) “Thankfulness” – What are the things that I water and nurture in my heart? Think of your heart as a garden — an oasis, a wonderful and beautiful place, where you love to be, to remain. The inner-landscape of who you are has tremendous potential. You are given the job of chief gardener and landscape architect of your own garden, and you can create the garden of your dreams! You will continuously discover and learn new things, and learn how important it is to protect what grows within your garden. How can I cultivate the garden of my heart so that it flourishes? I will receive quality tools for development and growth, so that I become aware of what I am cultivating and how I am present in my garden. The course gives keys to personal involvement, inspiration and motivation. The work of tending my own garden becomes easier and the concrete results are truly enjoyable! How can I protect my own heart? Is it challenging for me to set boundaries? This course offers some keys on this challenging subject, so that I will protect my heart by building safe and clear frameworks for myself and for those I relate to. What kind of results do I want for the life I live? The maturation process takes time, but the fruit is worth waiting for. This course will give me keys for handling challenges that come my way, so that I can use them to bring concrete results in my life, both to strengthen and transform me. The joys and challenges of working in a garden together. Themes that spring from working in a garden make it easier to understand each other, to make plans and work together toward creating our shared dream-garden. 1) “Trust” – I can always rely on a lighthouse — even in the midst of a storm. 2) “Faith” – Faith must be joined with action if I am ever to find a hidden treasure. 3) “Peace” – We experience peace when God dwells at the center of our hearts with his light. 4) “Purity” – A a freshly-cleaned heart. 5) “Treasures” – Treasures are often well hidden, but those who find them, own them. Everyone longs for a deep sense of belonging, and to find the meaning of life. There are many voices in the world claiming they have the solutions to life — yet the Christian faith claims it holds the true answer. These courses offer a simple and understandable explanation of what this means. What values do I build my life on, and in which direction do I want to choose to go? With a treasure map and compass in hand, I can set out on an exciting journey to discover a treasure that is mine to keep! I begin on an exciting journey when I dare to step out on what I truly believe. In this course I am given a simple explanation that will help me to understand such words as salvation and repentance, and what it means to receive a new life. This is a follow-up course that deals with personal growth and development, so that we can live a more meaningful and exciting life in fellowship with the Creator. WHO ARE THE COURSE HOLDERS? 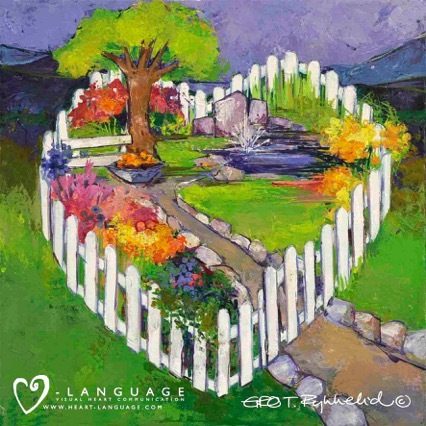 Heart Language holds a high standard of quality in terms of the information presented in its courses, and in standing closely with those who instruct our courses. 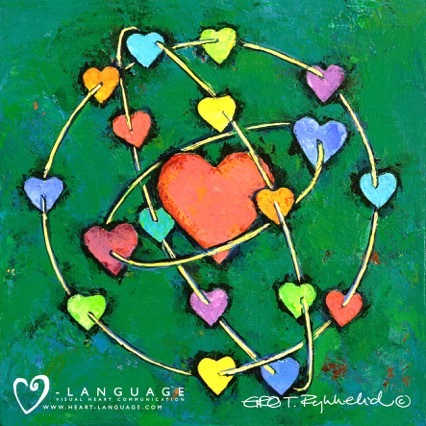 Only those who are approved by Heart Language can hold a course, seminar or lecture, ensuring that you will receive the best possible experience. We also desire that our staff numbers will grow in pace with the demand for our courses. A resource group is working to ensure the quality and development of our products. Course holders are not employed by Heart Language, but they do receive a sales commission. A small administrative team promotes the courses and works with information. 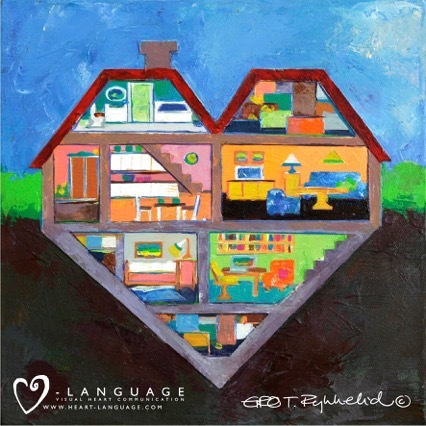 The course instructors are hand-chosen, and commit themselves to remain in a close working relationship with the Heart Language staff. Gro holds a master’s degree in illustration, and works as a freelance illustrator. Gro is also educated in leadership and innovation, and stands behind the development of Heart Language. She has written and illustrated a number of books, and is constantly looking for new visual tools that communicate. 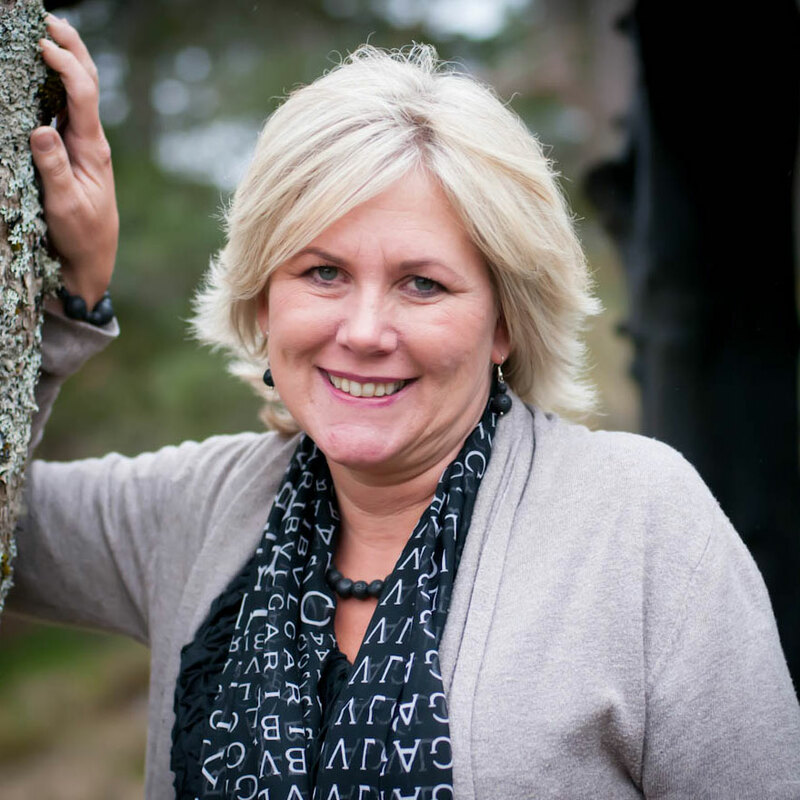 Gro grew up on Flekkerøy, a little island on the southern coast of Norway outside of Kristiansand, and currently lives on the coast of northern Norway with her husband and three children. Ann Britt is educated as a psychiatric nurse. She has broad experience in the health sector, and also as a course instructor on diverse themes. She works with course development for Heart Language and also as a course instructor. 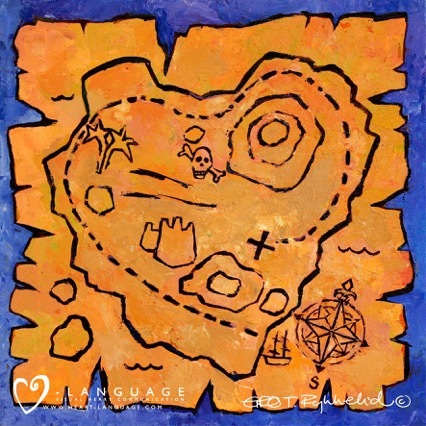 Ann Britt also is trying out Heart Language as an aid and communications tool when engaged in challenging conversations or counselling situations. She resides in the town of Søgne in southern Norway with her husband and four grown children. 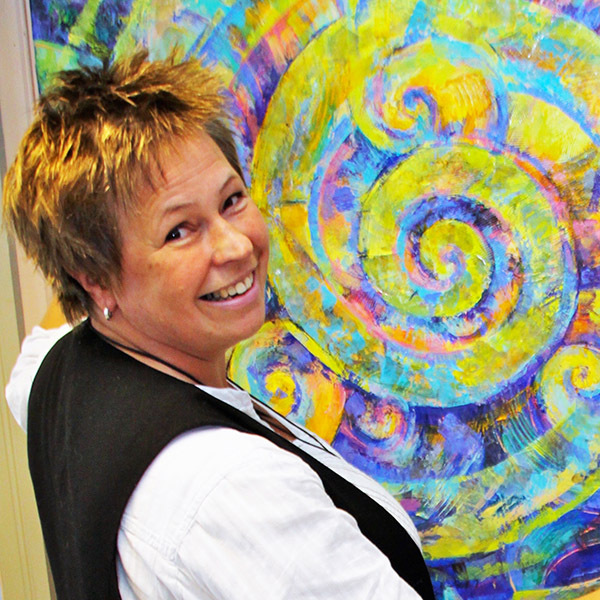 Edel Gunn is educated as a practical nurse specializing in psychiatric health and troubled children and youth. Edel Gunn has personal experience in living with ME for 15 years, and has dealt with a debilitating sickness in her own children. She also works with Vito Health that offers treatment and training at the Dead Sea in Israel. 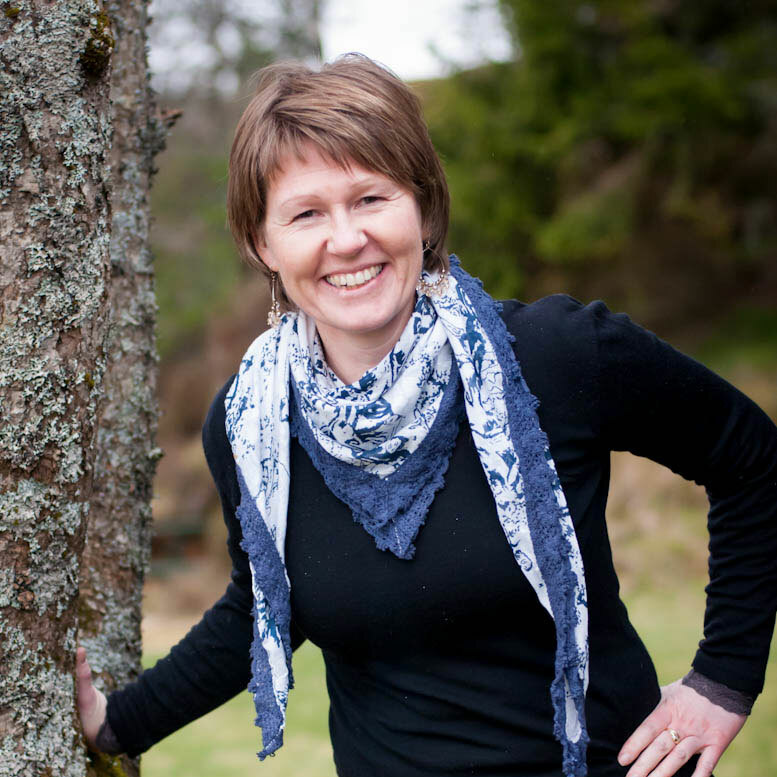 Edel Gunn grew up in Lyngdal in southern Norway, but now lives on Ørnes off the northern coast of Norway together with her husband and three daughters. Teaches the course The Relationships of the Heart. Teaches The Garden of My Heart and a course on marriage. Teaches The Garden of My Heart and The Place of The Heart. Teaches Beliefs of the Heart. Teaches The Garden of My Heart.